Garbage crisis and protests have been all over the news in the country for the past week. People are all complaining, and it’s their absolute right, about this unbearable situation. I appreciate those who went and protested, I do but just hear me out about something, about this national hypocrisy. It’s not my style to have a rant on this blog, but this crisis situation got me quite angry about a persistent problem that no one cared about until now. I set foot here in 1998 and was since shocked by all the littering and garbage everywhere: roads, parks (if there’s any), sea, beaches, mountains, lake, rivers… Plastic, tires, broken glass and rusty stuff have been designing our landscape for years now. To people protesting and complaining, I have a few questions. Where were you when most of the citizens, regardless of their social status and age, have been littering intentionally, throwing their garbage from their car, leaving trash after a picnic, a camp, a hike or else? And among all of you who have been protesting, who are those who never littered? Who are those who recycle? Who are those who tried to raise consciousness around them? Who are those who cleaned up after other people’s messes? Most importantly who are those who littered and blamed others who did it too? I’m not pointing fingers in particular or try to act almighty, I am really just pointing out a reality here, let’s be honest. 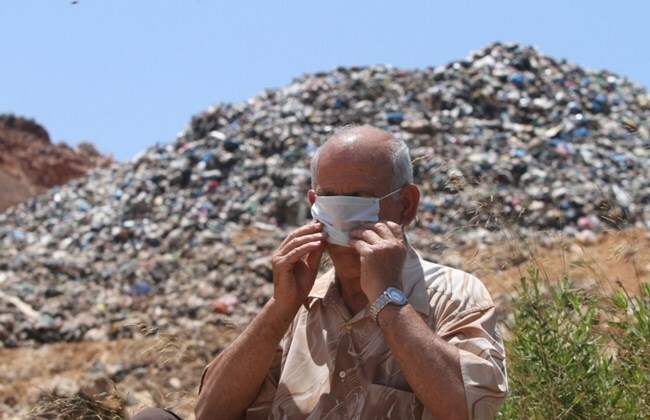 As far as the mountainous gorge of Tannourine or the Rabbits Island (both declared as “reserves”), garbage doesn’t spare a single inch upon the lands of “Green Lebanon” (“Lebnan El Akhdar”). The whole country is literally soaked with littering and garbage, it’s been going on for years and years with no evolution whatsoever, only regression. But finally, when trash meets you at your doorstep, in your neighborhood streets, with its smell, look and size, you went crazy. I couldn’t hide my pitiful gladness with that garbage all over town, because I knew that was the ONLY WAY that people would react and ask for change. And this is where the truth hits you, that Lebanon is not a country where people act, but only react. Sadly, all your protests will never make this go away.